Monday through Friday: 7:30am - 4:30pm; Saturday: 8:00am - 2:00pm. Recycling in Macon County serves many purposes. It conserves natural resources, saves energy, creates less pollution, saves our landfill space, and it puts money back into our general tax base income funds. The more we recycle the more money we generate. This will create less of a burden for us on taxes. By volume, 80% of the waste generated is either recyclable or compostable. To get an idea of how much waste you generate, figure how many days you have been alive. Remember, 365 days in a year and 366 days in a leap year. Take that number and multiply that by 5. This will tell you how many pounds of waste you have generated in your lifetime, based on a national average of 5 lbs. of waste generated per person per day. If you have any questions or comments please feel free to contact Shaun Cribbs, Recycling Coordinator at (828) 349-2252 or by email. In addition to the recycling services at the Macon County Landfill in Franklin, NC, there are are 10 solid waste recycling drop-off convenience centers located across Macon County. These centers accept recyclable materials and personal HOUSEHOLD solid waste ONLY (defined as trash from kitchens, bathrooms, dens, etc. but NOT INCLUDING construction materials, hazardous wastes, liquid wastes or materials from commercial entities, even if located in a home). These centers are located as listed to the left and are open for public use as indicated. Commercial wastes MUST be taken to the landfill in Franklin or to the transfer station in Highlands on Rich Gap Road. What Do Recycling Drop-Off Centers Accept? NOTE: Bring all of your metal, refrigerators, freezers, and air conditioners to the MSW Landfill, 1448 Lakeside Drive, Franklin to be recycled. Take all construction and demolition materials (C & D) including but not limited to wood, sheet rock, shingles, roofing felt, etc. to the landfill in Franklin OR to the Transfer Station in Highlands. If you have questions regarding the Recycling Program in Macon County, or if you want or need to schedule a presentation or have a tour of the facilities, please contact Mr. Shaun Cribbs, Recycling Coordinator, at 349-2252, fax 349-2185 or e-mail. What is Recyclable in Macon County? Corrugated Cardboard: Please make certain that all packaging material is removed from the boxes and that no oily residues, food wastes, or significant quantities of paint are present. Flatten all boxes, if going to a drop-off center, before placing the cardboard in the designated trailer of recycling roll-off container. It is very important to clean out boxes because contaminants could be mistakenly baled and once these are discovered by the recycling business it could result in the load being rejected and revenue lost to the county. Newspaper: Place newspapers in the designated gaylord boxes in the trailer or in the section of the recycling roll-off container. 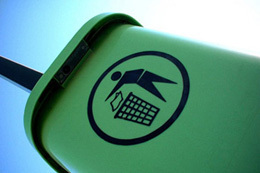 Please DO NOT throw magazines, junk mail or plastic bags in with the newspapers. It is very important not to throw or hide other things in with the newspapers as these are considered contaminants and makes the newspaper no longer recyclable. Mixed Paper: ALL OTHER PAPER, magazines, junk mail, cereal and packaged food boxes, school papers, paper towel and toilet paper rolls, shredded office paper, telephone books, paperback and hardback books, etc. constitute mixed paper. Place all paper other than corrugated cardboard and newspapers in the appropriate container. #1 Plastic (PET or PETE): The best way to determine if the plastic is #1 is by looking on the bottom of the container. If there is the number 1 inside of the triangle of chasing arrows then it is recyclable. Also, all soda bottles and water bottles are made of #1 plastic though they may not be marked. Baled PET is sold to a plastics recycler to become new drink containers, fleece material for cold weather clothing, microfiber for weaving and industrial strength carpets. #2 Plastic (HDPE): Please rinse out the plastic containers and remove the lids. Since this plastic is used to make new milk and food containers this is a necessary sanitary requirement. The best way to determine if the plastic is #2 is by looking on the bottom of the container. If there is the number 2 inside of the triangle of chasing arrows then it is probably recyclable (there are exceptions to this rule). Milk containers are not typically stamped with the identifying number but are ALWAYS HDPE. Exceptions to the recyclable rule are: margarine tubs and microwave meal dishes as these have been sprayed with chemical that makes it easier to get the food out of the container (This makes the reprocessed plastic either too brittle to use or prevents the plastic form getting hard enough to use.) and motor oil and antifreeze bottles because they still have oil or antifreeze in them making them a toxic waste (Would you like to drink your next glass of milk from something containing motor oil or antifreeze?). Glass - Green, Brown, Red, Clear and Blue: Pleases DO NOT MIX any of the colors in the containers for recycling, with the exceptions that blue glass goes with clear glass and red glass goes with brown glass. Only recycle glass bottles that have previously been used as a food and beverage container. All glass recycled by Macon County Solid Waste Management is used to make new food and drink bottles. Therefore, only glass which has previously been used as a food or beverage container may be recycled due to the risk of lead poisoning from other types of glass. Mirrors, Ceramic cups and plates, Bone China, Pottery of any kind, Clay flower pots, Crystal, Light Bulbs, Heart Resistant Ovenware, Drinking Glasses, and Automotive and Window Glass. Mixing the above items in the glass renders the entire load (20 tons) unacceptable for recycling. There are many reasons for this. Some of these items contain lead or mercury or need up to 4 times higher heat to melt as well as the fact that some of these items are not glass. Aluminum Cans: Please rinse and flatten the cans, if possible. Please do not put aluminum foil, pie pans, oven roaster pans and other similar items in with the aluminum cans. These items are actually made from the residue created by making aluminum cans and are not considered to be recyclable despite the aluminum in their name. Large aluminum items should be taken to the County landfill in Franklin or the transfer station in Highlands. Steel Cans and Aerosol Cans: Please rinse the cans and remove any plastic lids before recycling. Metal lids are recyclable. Removal of labels is not necessary. Aerosol cans MUST BE EMPTY before being recycled. Larger steel items and white goods can be disposed of in the metal pile at the County landfill or at the transfer station in Highlands. White Goods and All Other Metals: White goods include refrigerators, stoves, microwave ovens, washing machines, dryers, air conditioners, etc. These items, along with all other metal, can be recycled at the County landfill or at the transfer station in Highlands. When bringing refrigerators and air conditioners to the landfill, place these items in the designated area, behind the Recycling Processing Center (RPC), separate from the other metal items. This is necessary as they contain chlorinated fluorocarbons (HFC), better known as Freon, which must be removed safely before recycling the metal components. Electronics Waste : The Solid Waste Department accepts electronics for recycling at the Materials Recovery Facility located at the Macon County Landfill and at the Highlands Transfer Station. Accepted items include televisions, computers' towers, monitors, peripherals, copiers, fax machines, VCRs, DVD Players, any other device with a circuit board and power cord. Televisions and computers are banned from disposal in North Carolina. Tipping fees are charged for electronic wastes to defray the cost of handling and packing. Macon County uses an R2 Certified company for the processing of electronic wastes. Used Oil and Used Antifreeze: This material is considered to be toxic hazardous wastes and must be disposed of safely. Used oil and used antifreeze removed from vehicles by non-commercial sources may be disposed of safely at the Franklin landfill, the Highlands transfer station and at the following convenience centers: Otto, Scaly Mountain and Nantahala Junaluska. Place oil and/or antifreeze in the separate containers at the landfill, transfer station or convenience center EXCEPT at the Nantahala Junaluska Center. Nantahala will accept oil and antifreeze in closed labeled containers only. Used Cooking Oil: This material may be recycled at either the landfill in Franklin or at the transfer station in Highlands. Pour the used cooking oil into the designated storage container at either site. Ask the attendant on duty to show you where the container is located. Used Tires: Tires may be disposed of at the landfill in Franklin, the Transfer Station in Highlands, or at the convenience centers in Nantahala. Tires MUST be off of the wheel rims before they may be disposed of in the designated trailer or area. Old tire rims are recycled as used metal. Used Car and Truck Batteries: Used lead-acid batteries may be left at the Franklin landfill, the Highlands transfer station, and at the convenience centers in Nantahala. Place the batteries in the designated location at each center. Used Paint: Macon County Solid Waste Management is NOT permitted, per State statute, to accept WET liquid paint. If you have left over LATEX paint either find a means of using it up by painting something else or dry it out by leaving the lid off and exposing the paint to the air where rain will not get into the open can or add cat litter or some kind of absorbent such as oil-dry to dry up the paint residue. When the paint is dry, the can may be recycled in the metal pile at the landfill or at the transfer station in Highlands or may be disposed of as ordinary waste. Paint in plastic containers should be dried and dispose of as ordinary waste. OIL-BASED PAINT MAY NOT BE DISPOSED OF IN THE LANDFILL. It is considered to be a toxic waste and is unacceptable in landfills. Use up the paint and then dispose of the metal can in the metal pile at the landfill or at the transfer station. Rechargeable Batteries: All types of sealed rechargeable batteries, except for alkaline, batteries are being accepted for recycling at all of the convenience centers. Please give all of the batteries to the attendant for proper storage. Printer Cartridges: We now accept all printer cartridges, from ink jet to laser units, at all of our convenience centers. Please give the cartridges to the attendant on duty for recycling. Cell Phones and I pods: Used cell phones and i pods can be given to the attendant on duty at any of the convenience centers for recycling. The batteries MUST be in each unit recycled. Backyard Composting and Grasscycling: should also be in your recycling efforts. If you need assistance in getting started or need general information please call the Macon County Solid Waste Department @ 349 – 2252 or Mr. Alan Durden of the County Agricultural Extension Service @ 349 -2049. Pallets, Brush, Leaves, and Stumps: may be taken to the landfill in Franklin or to the transfer station in Highlands. Please keep these items out of the trash containers: wood, furniture, mattresses, tires and liquids.